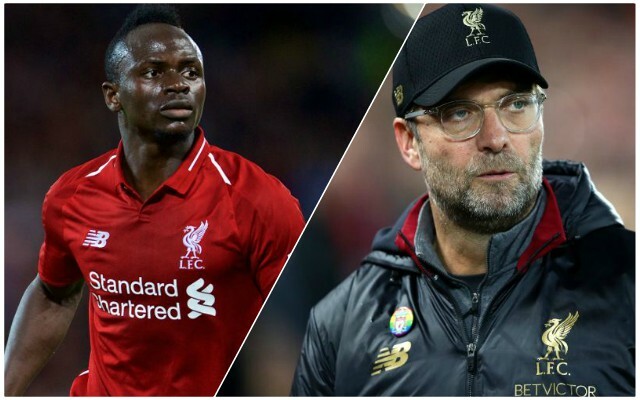 Sadio Mane is a major doubt to face Burnley on Wednesday after suffering a foot injury during Liverpool’s 1-0 win over Everton in the Merseyside derby. The Senegalese forward managed the full 90 minutes at Anfield on Sunday but will now be monitored closely ahead of the Reds’ midweek contest. Liverpool also face a nervous wait on the fitness of Andrew Robertson after he picked up a dead leg, although Jurgen Klopp is evidently more optimistic on the left-back’s recovery. Speaking in his pre-match press conference, the German confirmed the club will continue to assess both over the next day. Losing both would be a significant blow for Liverpool, with the pair having struck a key partnership down the left-hand side. Robertson leads the Reds with five assists across all competition so far this season, whilst Mane is the team’s second top scorer behind Mohamed Salah with seven. It seems unlikely Klopp will be prepared to risk either at Turf Moor given the challenge that awaits them against Bournemouth at Dean Court on Saturday. Liverpool have capable attacking replacements to make use of in Xherdan Shaqiri and Daniel Sturridge, whilst Alberto Moreno is an orthodox alternative at the back. It is these kind of disruptive short-term injuries that underline just how important this squad’s strength in depth could be over the festive period.